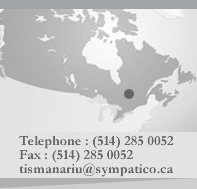 Serban Mihai Tismanariu is a Canadian immigration lawyer who helps people immigrate to Canada. He has 14 years of experience in immigration and is a member of the association of lawyers specialized in immigration law. Serban Mihai Tismanariu Esquire has a large practice within the Canadian Federal Court , having participated in many case law decisions. He offers 30 minutes free consultations and free assessments.